of art event that is coming to West Jackson. The event goes by FIGMENT and has its roots in the New York arts scene as a free, family-friendly arts event. Let’s just say that a touch of New York art is coming to Jackson with a very generous dash of southern hospitality! Organizers of FIGMENT Jackson have announced that the event will take place on May 14th and 15th at The Plant on 80 (formerly Coca-Cola Plant). Jacksonians got a chance to experience The Plant on 80 in its debut as the venue for Jackson Free Press’s 2011 Best of Jackson Awards Party. FIGMENT made a cameo at the party with its hand-painted logo mural being the go to spot for pictures. FIGMENT Jackson organizers are currently seeking artists and volunteers who would like to assist with making this event a success. If you are interested, or would like to find out more information about the event, visit FIGMENT Jackson’s website. The deadline to submit artwork for this event is April 15, 2011. P.S. 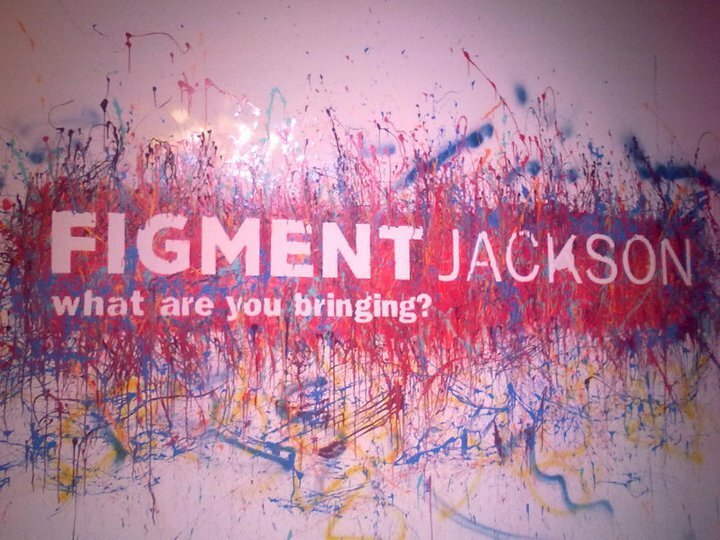 You can also follow FIGMENT Jackson on Twitter (@FIGMENTjxn).